According to 9to5Mac, as has been rumored for a while now, there will be two different iPhone models coming in the early part of next month. 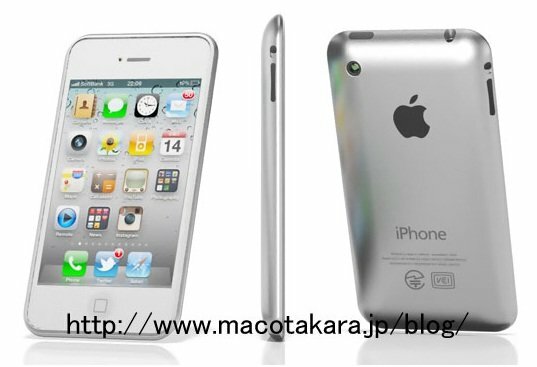 The first model will be based on the current iPhone 4 and will be the low-end model (budget or what was previously rumored to be iPhone nano). It will still have the glass front and back panels and is said to be rolling off the production line in huge quantities. What is interesting is that this model will supposedly be offered at an extremely aggressive price point with prepaid and post paid service plans. The iPhone 5 on the other hand will have a larger screen with a thinner rounder body. It is said to be a sight to behold as it is impossibly light but very solid to hold. The camera will even rival point and shoot cameras and will be a major selling feature of the new model. Now the bad news, rumors abound that Apple has had a few design and production problems with the iPhone 5; which will result in a slight delay and may affect stock levels right into 2012. Now as with all of these rumors, take them with a giant size pinch of salt. I remember similar stories about delays to the iPad 2 just before it was announced and they turned out to be false. The only thing I would take from the astonishing amount of rumors that are floating around about the iPhone 5 this week is that this is a sure sign that its launch will be sooner rather than later.